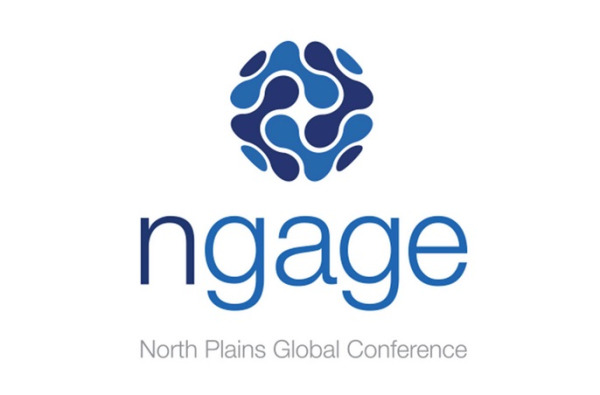 Hear about the North Plains nGage 2015 conference and what is coming in Xinet V18 from our intreped travelers, Mike and Larry who ventured out to this years conference in sunny Orlando, Florida. Not only was the weather great, but so was the content, speakers, presentations and hearty discussions with clients, partners and vendors. Read on, you will feel like you were there. My Orlando trip for North Plains' nGage Conference was delightful! Just the 85 degree warmth would've been sufficient, but this conference also had a very rich agenda. During Partner Day, North Plains' new executive team impressed me as enlightened professionals who listened while presenting their product development roadmap. They also asked for future contributing ideas, announced some smart, like-minded speakers for an enriched eGage experience and ended an excellent day with a relaxing cocktail party with many global North Plains channel partners. All were eager to collaborate in an effort to best service multi-site Xinet clients, including SYD Conseil - Cogito Digital Management, Bay Digital, and Visual Products Japan. North Plains most intriguing development roadmap topic to us at NAPC by far was the upcoming Xinet Version 18 release, which further resolves many of the most important issues affecting current users, as well as potential new users. What's still a future is the ability for a 'master' Xinet file system and database to effectively synchronize with local, disparate deployment instances. Well folks, just back from the North Plains nGage Conference in Orlando and it was a great one. We experienced great weather and outstanding company with fellow Integrators and clients from around the world. There was an outstanding Keynote delivered by Robert Rose, a Content Marketing Strategist, Author and Speaker. His presentation on content marketing was quite impressive, and I have since looked up a video of a similar presentation to share. One of the main highlights on nGage was the announcement of some very cool updates regarding Xinet, specifically the forthcoing release of Xinet 18. This had all in attendence very eager to learn more about this roll out. First on the agenda is that of a certification that was granted by the DAM Foundation; which is an organization focused on the betterment of the DAM ecosystem. The certification is based on a review of the 10 Core Characteristics that make a DAM a DAM. Now Xinet is on the short list of certified DAM software authors. Congratulations to Dale Dawson and team on this. Archives, Archives, who's got my Archives? In the immediate near term there's a great new archiving solution using modern software. The builder of the integration has a long history of writing to exactly this space, and his current tools allow restores from FlashNet as well. For the medium term, we can help you setup a system that will give you easy access to archives using the familiar tools, while you restore as much legacy archives as you feel needed. Long term- you restore files using the base FlashNet software, for as long as you can find hardware that will support the tape technology in use at time of archive. SGL's FlashNet is going away, and in it's place we'll be relying on Archiware's P5 Archive. This backup software is robust, modern, with a hugely enhanced toolset, and a long history or being present in this exact space of Graphic Arts. We're excited by the options and capabilities it presents, from hyper-intelligent backups to much better hardware support, to a modern web-based interface. Archive to Disk? check. Perpetual intelligent incremental backups? check. Ability to offload backup off primary disk to either other disk or tape? check. It's great stuff, and we can't wait to help you getting it in place and using it. FlashWeb and it's recent replacement WebNative Archive are going away, being replaced by InPress' OnFile. InPress has been building solutions for Xinet for forever, and has a rich history and understanding of how to write robust code for the ecosystem. They have hundreds and hundreds of instances of InPressive and Accelerator out there, and a great tool set that enhances the Xinet experience. NAPC has been doing business with them for years, and are really excited and pleased by North Plains choosing of InPress as the heir to building out the interface between Xinet and Archive. Jorgen and Co. are well on the way to an initial release that will fulfill the common need- an easy way to find archives, submit them for restore, monitor progress, or ask an admin to restore files. The other large concern we've been facing is how to ensure continued access to legacy archives. SGL's licensing machine is going dark next summer, so if there's a HW failure that requires a new license, one won't be available after that, which is a crippling prospect. We've worked out with NP a strategy for setting up a legacy restore server: a separate, static Xinet setup, one that has a small license but full access to archives through the web interface, to allow for easy user restores while a larger restore operation takes place. We're envisioning this as a small older server (or VM) with the older tape library attached. In the longer term, for 'deep' archives that weren't worth the effort of restoring in bulk, you'll be able to attach a standalone drive to an even smaller box, and restore the very occasional file through the much beloved X interface. There's never been a license needed for FlashNet to restore through a single tape drive, licenses are only needed to drive a robot or to use the higher level functionality. Is Xinet WebNative a money saver or money maker? It's 2010, the worst is over (or so they say). So now it's time to get focused and see how to leverage what you have and maximize revenue. Make a list of your team's expertise and the technology you own and see what new services you can offer or what processes you can improve. Your clients are looking for what's next, so make your offering what's next! Too often companies get stuck in what they know and aren't willing to put in the extra efforts. If you're confused – NAPC offers refresher training, online video how-to's (flatheadu.com) and free 1 hour training webinars every other Friday. I have leveraged the Xinet WebNative Suite in a couple of large advertising agencies, saved thousands in freelance and created six figure new revenue streams. Now it's your turn - we at NAPC want to hear about your success stories; not read about the client you lost.